Keith Schembri and Simon Busuttil. 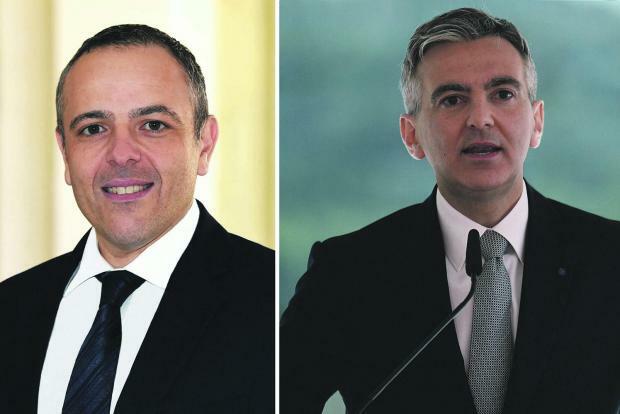 A magistrate has upheld Opposition leader Simon Busuttil's request for an investigation on whether Konrad Mizzi and Keith Schembri, among others, broke money laundering laws when opening secret companies in Panama. The request had also called to investigate Prime Minister Joseph Muscat. Magistrate Ian Farrugia, who was the duty magistrate when the application was filed last week, delivered his ruling this morning, ordering the launch of a criminal inquiry into the allegations. Magistrate Farrugia said that the pre-requisites for an inquiry had been satisfied. 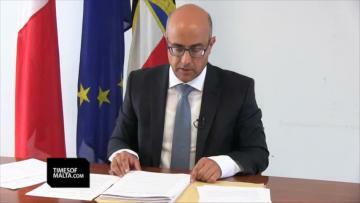 He ordered that notification of the decision be communicated to Prime Minister Joseph Muscat, his chief of staff Keith Schembri, Minister Konrad Mizzi, accountants and auditors Brian Tonna and Karl Cini as well as Kasco Limited employee Malcolm Scerri and former Allied Newspapers Limited former managing director Adrian Hillman. These were all given two days to appeal the decision. Delighted that the Court accepted my request to start a criminal investigation against @KonradMizzi and @KeithSchembri on #PanamaPapers. In his court application, Dr Busuttil asked the court to launch a criminal inquiry into the men's acts. The application highlights a December 2015 email in which Nexia BT's Karl Cini gives go-ahead to open bank accounts for offshore companies belonging to the two politically exposed persons, despite Panamanian bank BSI requiring minimum deposits of $1 million a year. It also notes that both Dr Mizzi and Mr Schembri's applications to open Panama companies included ticked boxes requesting 'no audit' and 'total secrecy and confidentiality'. The five-page court application lists, in chronological order, the various political happenings and manoeuvres which have raised the Opposition's suspicions, starting in March 2013 when Dr Mizzi and Mr Schembri assumed their government posts to more than three years later, when the European Parliament's Pana Committee chairman Werner Langen told the press that the case "looks like money laundering". The application was signed by PN shadow minister Jason Azzopardi and lawyer Kris Busietta. Last week, Mr Schembri filed a criminal complaint against Simon Busuttil calling on the police to investigate the Opposition leader for filing a false report in court, perjury and lying. In a tweet, Dr Busuttil had replied that they wanted to use the police against him for standing up to their corruption. "I have news for them: I will fight for democracy." In a reaction, the government accused Dr Busuttil of distorting the decree and misinterpreting its contents. The government said Dr Busuttil was not correct in his interpretation of the decree and that it was misinterpreting it “for political gain”. “The same facts of this case are already subject to other inquiries asked for by the PN Leader. There was no new evidence or information and like in the other cases, the government will cooperate with the in genere inquiry that still needs to establish the facts,” the government said. Addressing a press conference following the court decision, Shadow Justice Minister Jason Azzopardi said the magistrate had accepted the Opposition leader’s request for an investigation in its entirety. Dr Azzopardi said the seven people who would now be investigated, including Keith Schembri and Konrad Mizzi, tried to argue against the opening of a fresh inquiry in reply to Dr Busuttil's request to the courts. He said similar replies were given by all seven, who argued that Dr Busuttil was incorrect to ask for an inquiry about a subject that was already under pending investigations. They also argued that Dr Busuttil did not specify who the suspect persons were, and was not clear in his court application about what crimes had allegedly been committed, Dr Azzopardi said. Dr Azzopardi said the Opposition leader rebutted all these claims in court, which led to the magistrate agreeing to the need for a full investigation. A magisterial inquiry would now be opened to investigate whether the seven people were involved in money laundering, attempted money laundering, and complicity in money laundering. Dr Azzopardi said Dr Busuttil’s court application made reference to the key timelines of the Panama scandal, as well as a 128-page FIAU report completed in March. All seven have two days to appeal the court's decision. The Labour Party dismissed Dr Azzopardi's claims and made reference to two reports issued by the National Audit Office last week, which the PL said "joined the collection" of reports critical of him "and which show he did not run things by the book in the Fekruna and Spinola cases."